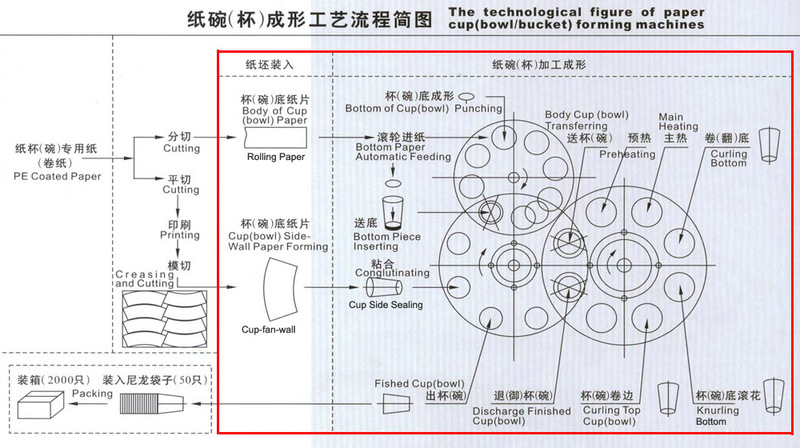 >>>>From the above image, the steps in the red box are finished in our paper cup/bowl/bucket forming machines. 1 . Buy the cutted bottom-using rolling paper and cup-side-using sheet paper from PE coated paper suppliers ; In this step, the suppliers will cut the paper sizes according to your requirement. 4 . Packing the finished cups in plastic bags and then to cardboard box.